Surface lots and parking garages are available along Elm Street. Prices vary and most accept cash only. 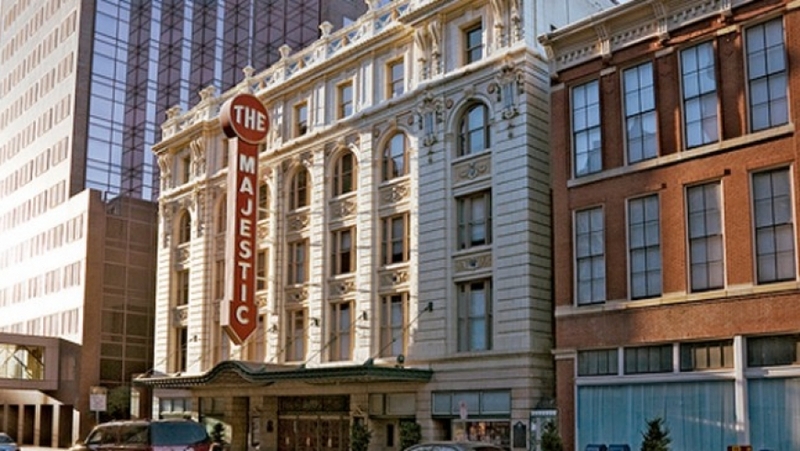 The Majestic Theatre welcomes all patrons and offers a variety of services to meet special needs. Patrons may be dropped off on Elm Street for easy lobby access. All levels are accessible by an elevator, however we recommend patrons with mobility issues be seated in the Rear Orchestra section for the easiest access into the performance hall. Concessions, including soft drinks, beer, wine, liquor and light snacks, are available for cash purchase in the lobby. Beverages are allowed into the performance hall for most, but not all, events. The Majestic Theatre opened its doors on April 21, 1921 as a vaudeville theatre. It was built by impresario Karl Hoblitzelle and designed by John Eberson, one of the foremost designers of theatres in the early 20th Century. Hoblitzelle’s Interstate Amusement Company built and operated vaudeville theatres in Texas, Mississippi, Louisiana and Arkansas. As the vaudeville era came to an end in the 1930s, Hoblitzelle began to present movies in his theatres. The Majestic hosted flm premieres with big stars in attendance, including Jimmy Stewart, Gregory Peck, John Wayne, Audy Murphy and many others. The Majestic screened its last film in 1973 and the Theatre went dark. The Hoblitzelle Foundation gifted the Majestic to the City of Dallas in January 1976. After major restoration, the Theatre reopened on January 28, 1983 as a performing arts venue. Currently used by national promoters to present performing arts events, concerts and comedy shows, the Theatre is also available for corporate meetings, nonprofit fundraisers and private functions. 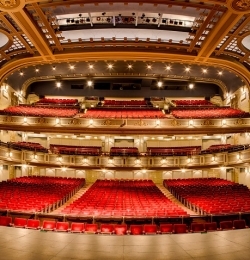 The Majestic Theatre is managed by the City of Dallas Office of Cultural Affairs.